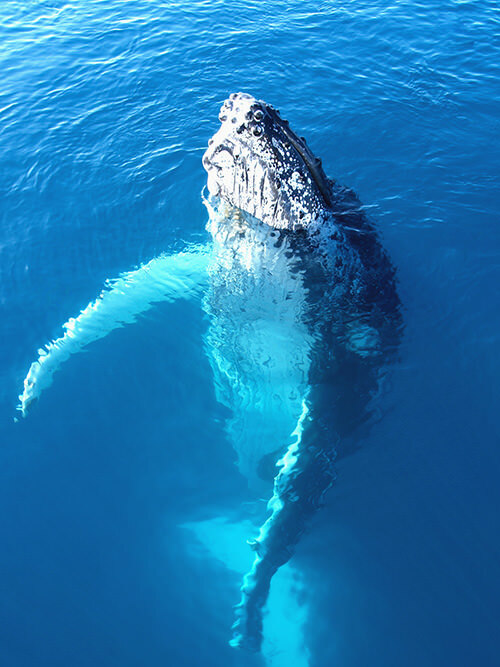 Every year, in the Dominican Republic, thousands of Humpback Whales migrate to the warm tropical waters of Samana Bay. 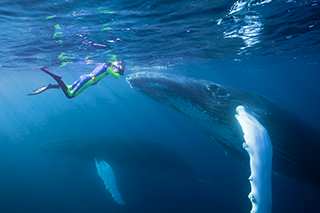 From January through March, the Bay of Samana enjoys the largest concentration of whales in the Caribbean. In the Dominican Republic, whale watching is some of the best in the world and as good as it gets. Thousands of whales visit the bay to mate and nurse their new born. Because of the mating season, males are very active to “show off” to the females, making Samana one of the best places in the world watch whales. Whale Watching aboard our boats is even better. Our vessels are spacious and stable and they provide ample opportunity to view and photograph a variety of exciting whale behaviors. Punta Cana is only a short plane ride away to marvel at these majestic mammals of the sea. During your whale watch cruise these amazing animals will often display themselves in full glory, giving you the ultimate whale watching experience. You may witness a mother whale frolic with her calf, or a full-grown adult breach exuberantly out of the water. Sightings of these playful whales, which grow as large as fifty feet and weigh about one ton per foot, are GUARANTEED on our Whale Watch Excursions. Whales will be sighted, or your next whale watch tour with Caribbean Dream will be complimentary. 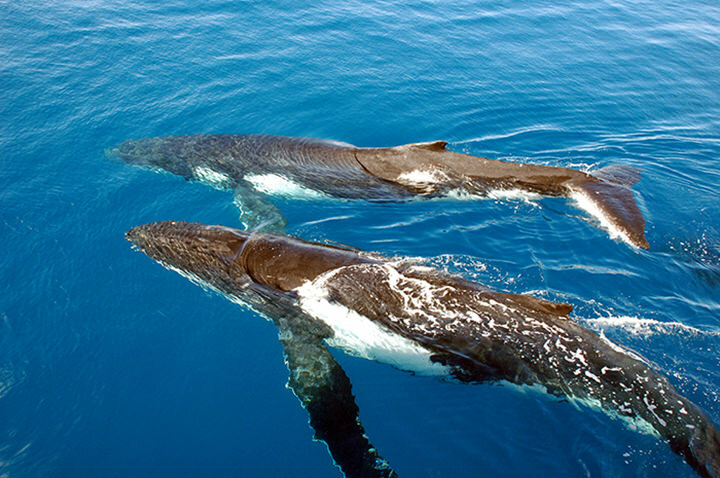 The male humpback whales are driven to mate with the females and pro-create. It is common during the height of the Dominican whale watching season to find large competitive groups (pods) of male humpback whales jousting for the opportunity to mate with a single female. Watching them is an exciting experience, as they wrestle with each other for the position to mate. The female humpback whales, with new born calves, are particularly vulnerable to the advances of the males during the Punta Cana whale watching season. Sometimes during our whale watch we are mugged (an affectionate term), by the female and her calf as she uses our large yacht to hide under in an attempt to ditch the hopeful males. Other times curiosity causes them to come closer to us. Being mugged on a whale watch in Samana, by humpback whales, is the ultimate whale watching experience where photo opportunities create cherished memories. A vacation in Punta Cana is not complete without a Whale Watch Excursion to Samana. This tour includes so much, it's like experiencing three excursions for the price of one. If you book by plane, you'll horseback to the renowned Limon Waterfall, cruise to the awe-inspiring Cayo Levantado Island and, of course, whale watch. By bus, only the waterfall is omitted but you'll enjoy the exotic country scenery from Punta Cana to your jump off point on the southern shores of Samana Bay. Both options include superb whale watching (Guaranteed Sightings), lunch, drinks, and great service. Join us for an amazing day of watching Humpback Whales in Samana Bay.